Pre-teen (or tween) girls can be a difficult audience to cater for when it comes to books. They often feel too “grown-up” for whatever they have been reading in primary school (although sometimes in year 7, students will go back to books they enjoyed in junior school, as a form of comfort blanket) and though they would beg to differ, they are often not mature enough for older, darker realistic teen fiction. There are few authors who manage to fill that gap successfully; Judy Blume, Cathy Cassidy, Jacqueline Wilson and Hilary McKay spring to mind. 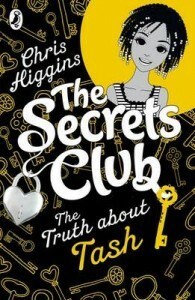 However last year saw the publication of a new series by Chris Higgins, The Secrets Club, published by Puffin, which is absolutely perfect for girls going into year 7. The series follows four girls who meet when they all start secondary school at a private girls school; they all come from very different backgrounds and some have joined the school on scholarships, making the social make-up of the series much easier to relate to for readers. They become friends very quickly, and promise to not keep secrets from each other. But of course, each girl has something they are not quite sure they want to share with the others, which is the premise of each story, as each book focusses on one girl. So far, three books have been published: Alice in the Spotlight, The Truth about Tash and last month No Match for Dani. All deal with the high and lows and friendship as well as school life, but each also focusses on more specific themes, depending on the background story of the main character. Alice in the Spotlight is the first volume and therefore the one which introduces the four girls to readers, and gives a slight hint to what their lives might be like. 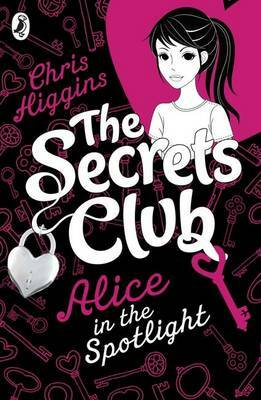 It is also the volume that focusses the most on first day at school jitters However the focus is very much on Alice and her secret, which involves older sister Nikki. Alice is passionate about protecting the environment, a passion she shares with best friend Austen, who now goes to a different school. Alice in the Spotlight therefore tackles some interesting themes about the environment and ethical fashion, as well as touching quite cunningly on celebrity culture. Without ever being preachy, it highlights some interesting points on the cult of celebrity and celebrity magazines’ impact on young girls. In The Truth about Tash, Tash is desperate to join her friends in their social activities but her commitments at home make it impossible for to get away. What her friends don’t know is that she helps her mother with the childcare of her three younger brothers, and since her mum has started having some funny turns, Tash has been doing more and more to help her out. This story again touches on some interesting themes: young carers and the responsibilities and challenges they face particularly. But also, interestingly, the book touches on social prejudice. Tash, unlike her other friends, comes from the tower blocks of the town, the socially deprived area. She is self-conscious about it and does not want her friends to find out, as she knows they will be prejudiced against it and its people. But actually, Tash herself is quite prejudiced to begin with towards the other young people of the estate, and it is another recurrent character, Ajay, that proves her wrong. No Match for Dani introduces the reader to our third club member, football-mad Dani. Like Tash, meeting up with the girls outside the school is a bit of an issue. Since her parents have divorced she has taken to visiting her paternal grandmother every Saturday with her little sister. At least, that’s the reason she is giving her friends. What she is omitting to mention is that once there she sneaks out to play football, and that all her team mates think she is … a boy. 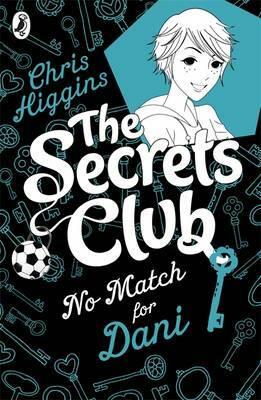 Football-mad Dani’s story again brings themes to light which young readers will be able to relate to – not only about girls’ place within sport, but also issues with friendship (it is the first book in which some of the girls properly fall out) and broken homes. Both Tash and Dani’s parents are divorced, but while Tash finds no issue with it, Dani really suffers from not seeing her dad. Though the denouement might not be quite as easy in readers’ lives, the feelings of abandonment Dani feels will undoubtedly being echoed in some readers’ experiences. The issue of boys starts making more of an appearance, in a light-hearted way; the girls “like” boys, but that’s as far as it goes. It is tentative, as it should be at their age, but it is nonetheless there, as it should be, if the series is to mirror what “real” girls are like. In The Secrets Club, issues about friendship, fitting in, family are tackled with warmth and tact. Each story is entertaining and engaging. What is particularly impressive is how skilled the author is at emulating pre-teens’ voices. Each book is short and accessible, but does not shy away from introducing some tough and thought-provoking themes. It is a great series which will be adored by young girls and will get the seal of approval from parents too. So all is left now is to discover Lissa’s story; plenty of clues have been dotted into the other three books, but readers cannot know for sure. I for one, cannot wait to find out!